This is the season you have been waiting for throughout the bitter cold days of winter. Spring is in the air and after feet of snow on the ground for more months than you’d care to count, you can almost see green popping up through the remnants of snow yet to melt. Instead of waiting until it’s too hot to spend time working on your lawn, start making your list now of things you’ll need to make your lawn the envy of the neighborhood. You can find pest removal in Huntington Park for quality services. Start with fertilizers and weed control products so that you’ll have them on hand the moment you need them. Rakes, mowers, and pruning shears would be good to have handy as well. Now that you’re equipped, let’s take a survey on what needs doing this year. This is something you may want to hire a professional for! Thatch is that dead, dry grass and shoots that are all brown and matted up. New life will be suffocated if you don’t rake and remove most of that from the surface of your lawn, and this may be a bigger and more strenuous task than you had anticipated. Your lawn can only stand about a half inch of thatch before the new shoots aren’t allowed to grow and you’ll not have the lovely green grass you’ve been waiting for. Besides that, all that dead grass will encourage pests to breed and that could be a disaster. Get it up now or you’ll need an even greater effort later when you’ve noticed your grass isn’t growing. Soil that is too compact will not allow new grass to root. There are a number of ways to aerate your soil, but how you do it depends on the size of your lawn. You can find specially made aeriation shoes with long spikes which work well on a small lawn. For medium sized lawns, a manual push aerator works well, but for lovely, sprawling lawns you’ll probably either need to hire a lawn care specialist or rent a gas-powered aerator. This allows for life-giving oxygen and water to easily reach the roots, which absorb the nutrients needed to sustain growth. Remember the fertilizers and pest control mentioned above? Now is the time to begin using them. Typically, this is done first in the spring and then throughout the year as needed. Some homeowners are only using organic products so that chemicals don’t filter down to the aquifer, but no matter which type of product you use, you will definitely need something if you want grass as green and lush as a shag carpet. 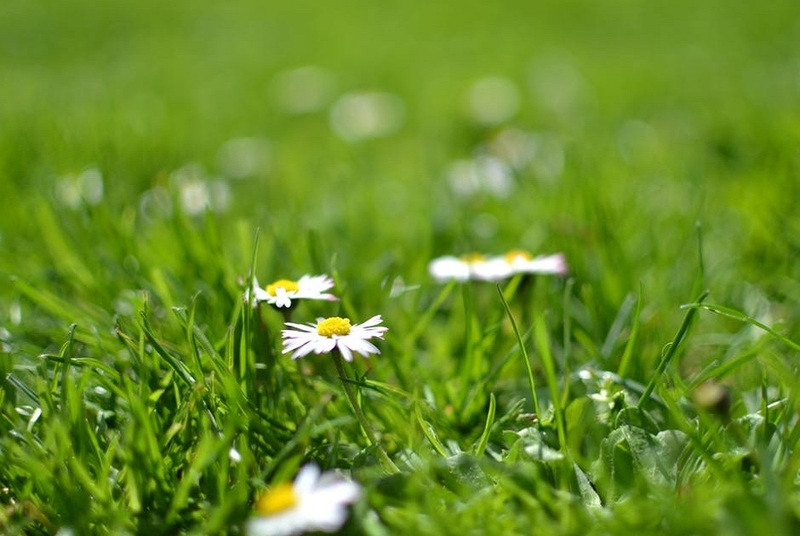 Obviously, you’ll need to do something about those brown or bares spots on your lawn, and you will need to keep your lawn mowed and fed throughout the growing season, but once you’ve prepared your lawn in the spring, it shouldn’t be too difficult keep up. Lawn Care 101 always begins with a spring clean if you want to enjoy your lawn throughout the year. These tips are only a start, but you can find more online with just a quick Google. Looking for the nicest lawn in your neighborhood? This is how you do it.